EaDo, short for “East Downtown” and formerly known as Houston’s Chinatown, is located east of Downtown Houston and north of Interstate 45, between the downtown George R. Brown Convention Center and Houston’s East End neighborhood. EaDo wasn’t always as trendy as it is today; in fact, until only about 10 years ago, it was practically a ghost town laden with warehouses and rail yards instead of new homes and eateries. EaDo is quickly becoming one of the most popular spots for first-time homebuyers, as it’s notably more affordable than many other popular areas within Houston city limits—the current median home price is $346,000, according to Neighborhoods.com data, but there are many homes available in the low 100s—and it’s centrally located between some of Houston’s biggest job centers and business districts such as Downtown, the Texas Medical Center campus, and the Houston Ship Channel. EaDo residents are within walking distance of various restaurants, bars, breweries and fitness centers, as well as popular entertainment venues like Discovery Green Park, Minute Maid Park (for Houston Astros baseball games), the Toyota Center (for large concerts and Houston Rockets basketball games) and BBVA Compass Stadium (for Houston Dynamo soccer games)—it’s a great neighborhood for sports fans. Popular restaurants and breweries include Huynh Restaurant, Rodeo Goat, and 8th Wonder Brewery. Many of the neighborhood’s restaurants and bars are also dog-friendly, which adds to the appeal. EaDo and the neighboring East End are also located along several hike-and-bike trails, attractive to runners and cyclists alike for both fitness and commuting purposes. Although EaDo is considered a walkable Houston neighborhood, having a car is still a must for most Houstonians to efficiently commute to other parts of the city. The closest freeway to EaDo is Interstate 45, which can also quickly connect commuters to the 610, 59/69, 288 and 10 freeways. There’s no going around the fact that reliable public transportation is generally lacking in the greater Houston area. 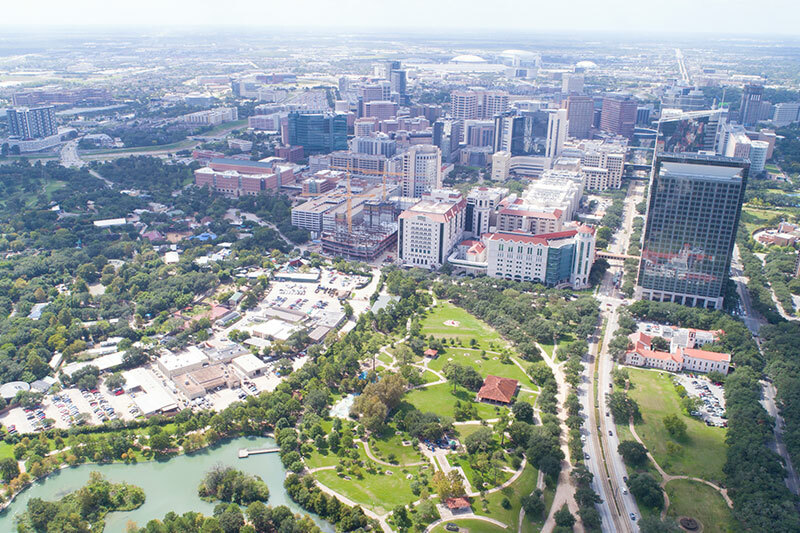 The fact that this neighborhood has access to public transportation, including the METRORail system, is a huge plus as driving to sporting events, concerts, or even to a doctor’s appointment in the Texas Medical Center can be expensive and will often stick you in traffic. If you happen to work in the oil and gas or healthcare industries, public transit is especially a plus as many employers don’t cover the cost of parking. 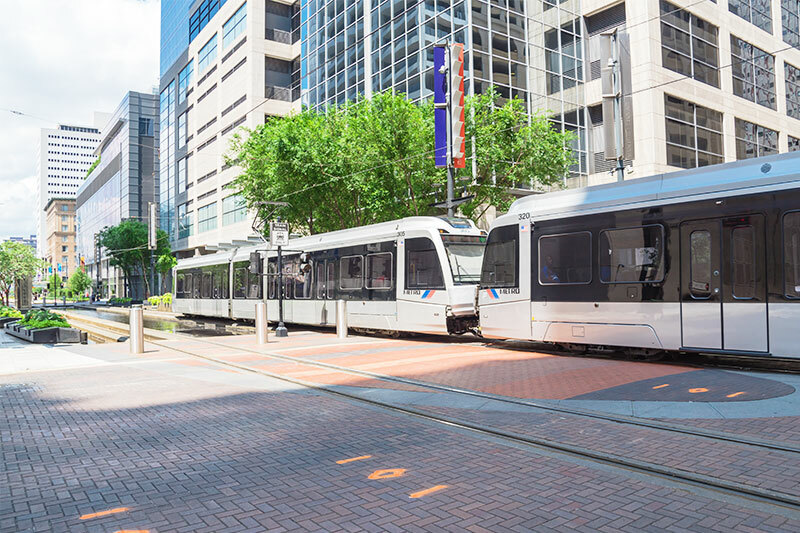 The METRORail can easily transport Houstonians to the city’s Museum District, NRG Stadium, or Rice University. EaDo’s real estate market has been booming over the last decade. Prospective EaDo residents have their pick when it comes to housing options, from single-family homes to townhomes and luxury condos, and according to the Houston Chronicle, about 50 percent of EaDo homes are new construction. Home prices tend to range from the $200s to the $500s. 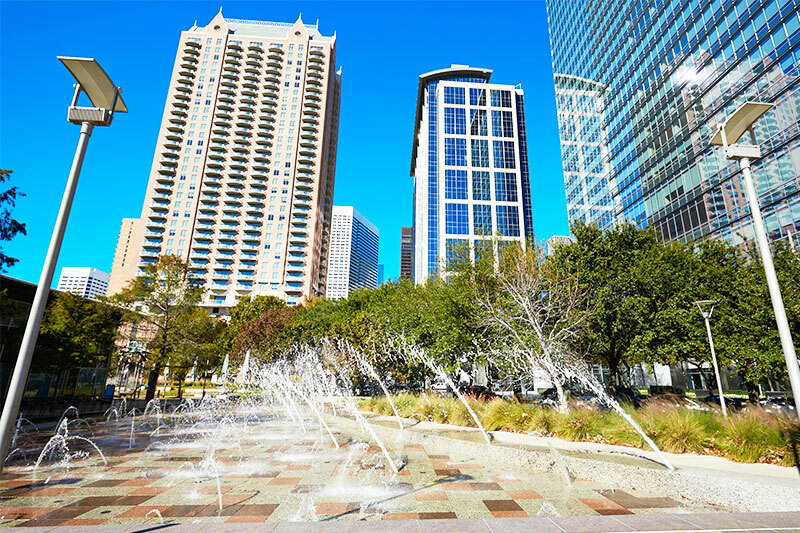 The healthcare and oil and gas industries are king in Houston, and the majority of their institutions and companies are based in the Texas Medical Center campus and Downtown, respectively. Both of these areas are a short commute from EaDo, whether by car or public transit. The Houston Ship Channel, another big job center, is also easily accessible within minutes via I-45 or the Gulf Freeway. Public schools located in or near EaDo are part of the Houston Independent School District network. These include Bruce Elementary, Mickey Leland College Preparatory Academy for Young Men, Sherman Elementary, The Rusk School, Wheatley High School, and the Young Scholars Academy for Excellence. Private schools include the Incarnate Word Academy, Our Lady of Guadalupe School, and Yellowstone Academy. Also of note is the Baylor College of Medicine Academy at James D. Ryan Middle School in the nearby Third Ward neighborhood, a great option for students already interested in a career in healthcare or biomedical sciences, and Energy Institute High School, a STEM-focused magnet program for students interested in working in the Houston area’s high-demand energy industry.